rooted in Afro-Dominican and Afro-Puerto Rican traditions. 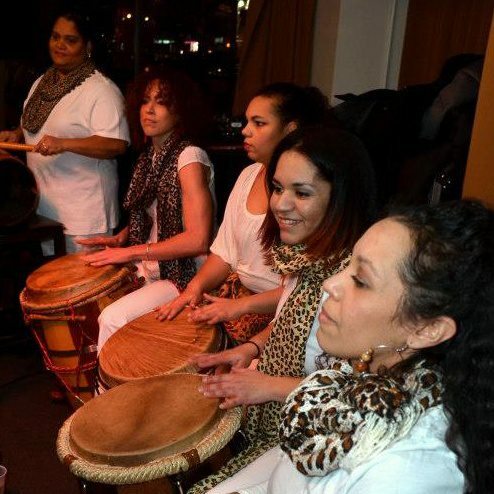 Our women are the next generation of NYC’s most gifted drummers, singers, and dancers of Afro-Caribbean music,including Palos, Congos, Salves, Bomba and other Afro-Indigenous roots music of the Caribbean. Our group makes music that celebrates the fiery, nurturing, defiant, yet wise touch that mujeres (women) have. We recognize that we possess feminine power that holds up our community, and honor the immense contributions women make everyday. Our performances are only part of our process of building sisterhood with each other and imbuing our audiences with joy and strength. Featuring original and traditional songs, our sultry and booming vocals,precision drumming and expressive dances encourages everyone to enjoy! 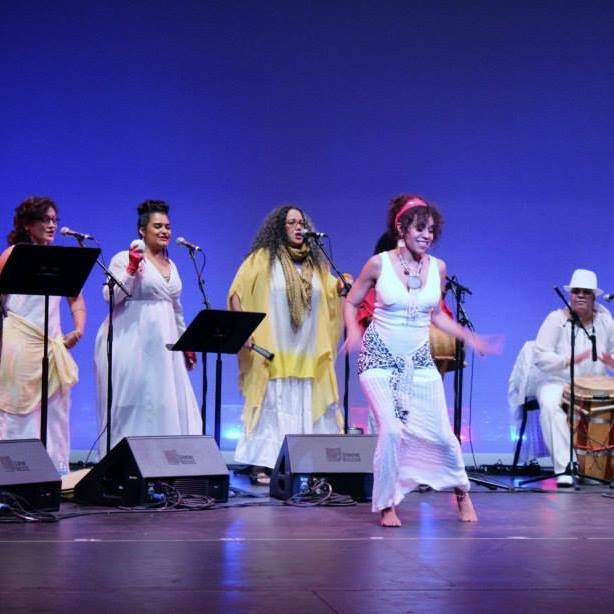 The Palos, Congos, Sarandunga, and Salves from Dominican Republic, our Afro-Dominican roots drum music & the Bomba from Puerto Rico, our Afro-Boricua roots drum music. For Bookings, Contact- Manuela Arciniegas, Founder & Director: manuelanow@gmail.com, 646-924-7187. Miel Morena: Let It Go 2017 Edition! @ Yeresso : 2400 Adam Clayton Powell and W. 140th StreetLet go of the old year with afro-roots drumming, song, and dance. Sweat it out, bid it adieu! These powerhouse ladies will have you shakin’ and groovin’, releasing the old year, and making room for bigger and better thangzz!! Saturday, 10/24/15, 2:30 PM: Inwood New York Public Library, 2:30pm, Address: 4790 Broadway, New York, NY 10034. Thursday 10/1/15, 7pm: Latino Heritage Festival, TWU Local 100, Brooklyn, NY. 8/1/15, 1 pm: Lincoln Center’s La Casita, Hearst Plaza, Broadway and W. 65th Street, Free. 8/6/15, 7 pm: UPROSE’s NYC Climate Justice Youth Summit, Union Theological Seminary, 3041 Broadway Ave. NYC, NY. Check out our videos and audio! Peace, Balance, Joy, and Fire!